61 Responses to Book & Yarn Giveaway!! I want to knit more socks and dishcloth. I want to try a shawl and a pullover or two for my sons. I don’t know more than the basic knit and purl so I want to expand my horizons. Color knitting looks so intimidating and beautiful. My goal this year is to knit one pair of socks a month. I’ve already completed 2 pairs for January. I just finished a cowl and am very close to finishing a shawl! It’s my year of mittens! And, yet, I’ve not started a pair yet. There are still 11 months left in the year! Fingers crossed for this competition, those skeins look gorgeous!! I have 3 pairs of socks to knit for birthdays this spring. I have plans for a felted polar bear (I’ve made it before) and a sweater. I am also still looking for the perfect hat for myself – I’m never happy with how hats look on me. Great on others, and they get all my tries. Just finished one that I had high hopes for, but it’s another miss. The search continues! I’m going to try a beret style next. I’m kind of a “knitting contradiction”- on one hand, I want small portable projects, nothing too intense. On the other hand, I’m drawn to huge “Opus” projects like Persain Dreams and other colorful (stranded or otherwise) projects. I suppose there’s nothing wrong with polar opposite ends of the spectrum, right?! I’m hoping to stick to my resolution to finish up a few lingering projects before starting too many new things. I do have a LOT of sock yarn, so I need to have a pair of socks on the needles at all times. I’ve been wanting to start a Cozy Memories type blanket, so I need those sock yarn scraps! I am such a nerd – I exported my yarn stash from Ravelry into an Excel document and assigned as many entries as possible to potential projects (with pattern names when applicable). I really want to knit some of the lovely yarns I’ve been stashing for years! So far it’s working great! I will be knitting lots of little bunny dresses. 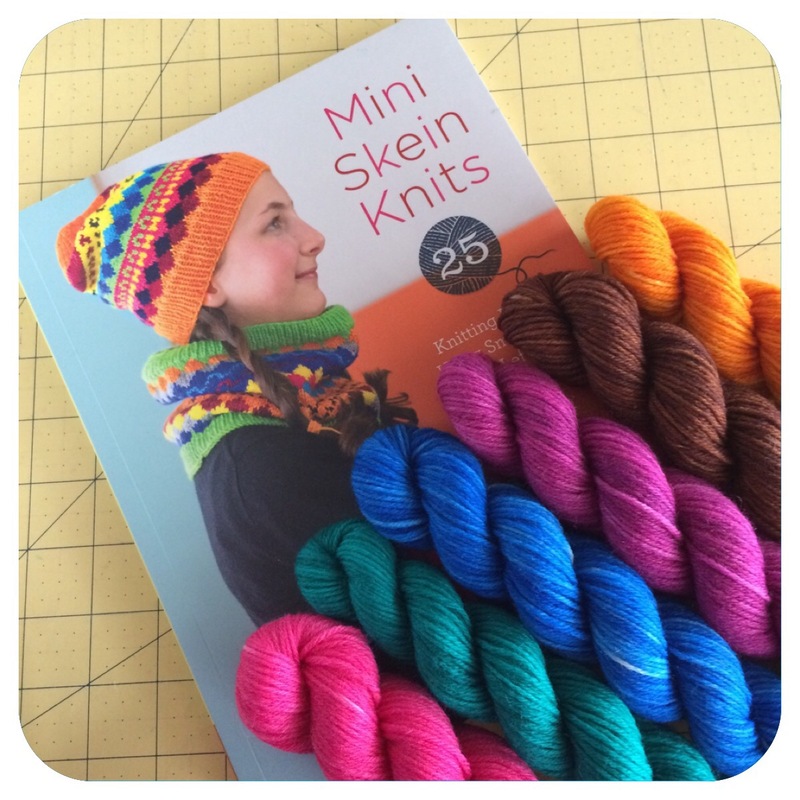 Mini skeins are perfect for those! I plan to knit lots of socks this year. Thanks!